Do you ever wonder if there’s a yoga studio out there that will just wow you? If you’ve ever found yourself daydreaming of your perfect studio, but aren’t sure where to look, or you’ve always wanted to see what yoga classes are all about, but you’ve been intimidated by the studios you’ve found in your area, these 15 studios can open your mind to the possibilities of what a great yoga studio is like. With locations all over the United States, in both smaller areas and metropolises, there are a wealth of yoga studios that are waiting to wow you if you know where to find them. Whether you’re a beginner, advanced student, looking to invest some time in a yoga teacher training class, attend a workshop or have special needs like prenatal or kid friendly classes, these yoga studios have it all. With many studios offering a wide range of instructors, styles, convenient class times, affordable rates and online access to class sign ups and payments, you can find what you need in these studios. Whether you need to find a studio that will allow you a chance to squeeze in a much needed class before or after work, or you’re traveling to a new city and want to drop in for a class to break up the routine of your trip, these 15 studios will provide clean studio spaces, affordable prices, knowledgeable and welcoming teachers and students no matter where you may find yourself carrying your mat. If you’ve never practiced yoga in a studio setting (or at all), try any of these locations to get the full experience of practicing in a safe environment that will not only keep your form in check, but will encourage you to see how yoga can enhance your day to day life. Are you looking for a Santa Monica based yoga studio that knows how to balance a fun environment with purposeful yoga practice? Look no further than Yogis Anonymous. This studio has something for everyone, including a live stream online yoga class option so that you can still get a class in even without leaving your house. Yogis Anonymous offers classes for all levels from as early as 6.45 am and going as late as 8 pm. At the time of this writing, Yogis Anonymous has an impressive 57 yoga teachers, making for a well rounded and readily available group of instructors. Tucked away in quiet Danville PA, Studio B Yoga Center provides a warm, inviting atmosphere with knowledgeable staff and plenty of community involvement. Studio B offers a wide range of vinyasa classes, including everything from beginner to advanced yoga practices. Studio B also offers prenatal yoga, allowing you to keep up with your yoga practice throughout your pregnancy. Studio B’s workshop offerings are varied and fun. The Studio B website notes upcoming workshop topics and events include Yoga for Running, Mindfulness, and Mala making. The six instructors at Studio B encourage a healthy and positive lifestyle through yoga their yoga classes, events, and workshop offerings. Daily Classes are currently offered between 6 am and 8 pm. Situated just south of Williamsport, StudioB is a treasure of central Pennsylvania. Despite being a younger yoga studio, The Yoga Tree located in Haverhill Massachusetts shows how the right instructors and class offerings can transform a new studio into an area staple. The Yoga Tree website notes that owner Caroline Pineau opened the studio in 2010. The studio offers all levels of vinyasa style classes which are available seven days a week. Located close to the MBTA commuter rail, the Yoga Tree is an easy stop on your way to and from Boston. The Yoga Tree website notes the current studio has a spacious 1800 square feet of space for classes and events. The Yoga Tree offers an inviting and encouraging atmosphere for any and all yogis in the greater Boston area. Yoga One Studios in Huston Texas have become an area hotspot for local yoga enthusiasts. The now five studio strong practice (with locations in midtown, uptown, Bellaire, The Heights and Pearland) offers a variety of classes and styles, including hot, forest and vinyasa flow. Daily classes at each studio location make it easy to find a class that fits your skill level and schedule while in the Huston area. The YogaOne website notes that their Midtown location also has holistic offerings including an on site juice bar. If you are looking to deepen your understanding of Yoga and help others with their own practice, YogaOne offers Yoga Teacher Training at multiple levels, allowing you to gain the knowledge and experience needed to teach others. 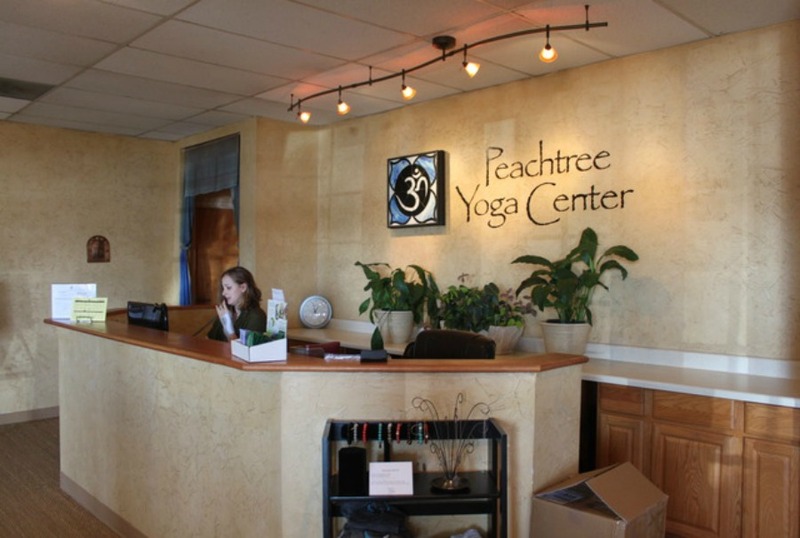 Peachtree Yoga Center located in Atlanta Georgia has a yoga class for everyone. Class offerings are available from 6:45 am until 8 pm daily, including all level, basics, gentle, power and pre-natal focused classes. If you’re an Atlanta based business looking to change up your workday, Peachtree Yoga Center offers corporate yoga to promote wellness and health within the workplace. Yoga Teacher Training is also available in both 200 and 300 hour options, allowing you to deepen your practice and guide others on their journey with yoga. Additional studio perks include therapeutic massage, Pranic Healing® and a bookstore to relax your body and expand your mind. Seattle based 8 Limbs Yoga centers strives to offer yoga classes for all ages and ability levels. With four locations throughout Seattle, 8 Limbs Yoga centers has a convenient location for nearly everyone in the area. Daily classes are offered from 6:30 am until 7:15 pm in the evening, with meditation classes available at 9 pm. Seasonal retreats are a popular 8 Limbs Yoga offering that allows you to build upon your practice. In addition to regularly scheduled yoga classes and specialized drop-in series classes, 8 Limbs Yoga offers workshops on a variety of topics including mindfulness, chakras, and yoga & creativity. 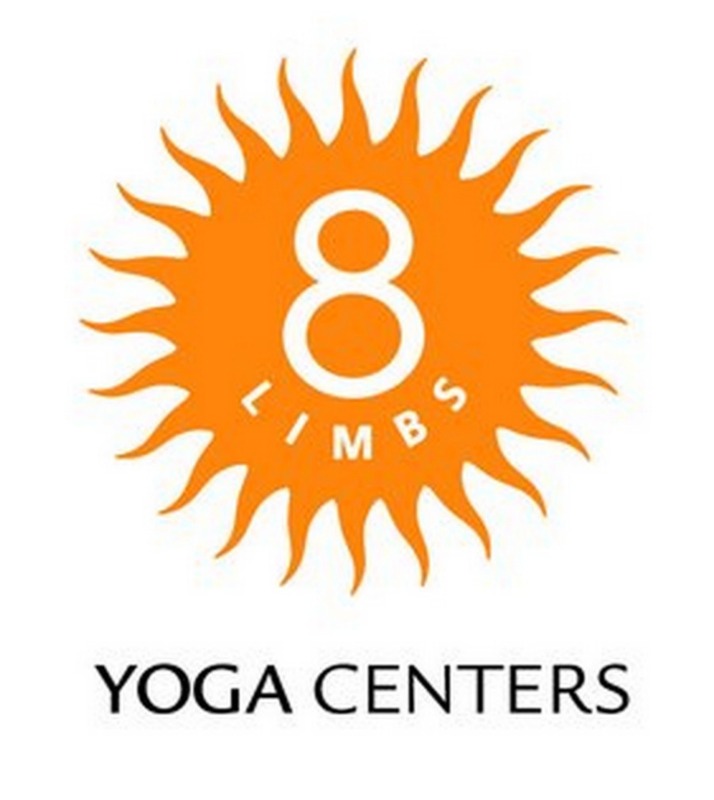 8 Limbs Yoga Center is the ideal spot for any Seattle based yoga enthusiast. Studio DC, aptly named for it’s Washington DC location, offers hot (and non-heated) yoga classes for all ages and all ability levels. With twenty three consistent instructors and a wide variety of visiting instructors, Studio DC has a teacher and yoga style to fit everyone’s desires. The Studio DC site notes that they currently offer 80 classes (in varieties like gentle flow, restorative, hot vinyasa and beginner vinyasa) a week to give the best variety possible. Studio DC offers 200 hour teacher training elite yoga teachers like Ana Forrest and Donna Farhi that also gives national accreditation. If you need an affordable, engaging and experienced yoga studio in the DC area, Studio DC is the place to go. Multiple locations, community involvement, non-profit partnerships. This is what you will find with Yoga Tree Yoga in San Francisco California. Currently, the Yoga Tree website notes that their family of studios has eight bay area locations, including: Castro, Hayes, Mission, Potrero Hill, Stanyan, Valencia, and 6th Avenue. Daily classes begin as early as 6:30 am and run until 8 pm at night. Teacher training is available in 200 hours up to 1000 hours. Training is also available in Prenatal Yoga. Currently 19 styles of yoga are offered, including Acroyoga, Baptiste, Forrest Yoga, Power Flow, and Hatha. Yoga Tree offers friendly and inspiring studios with enough variety for any yoga enthusiast to explore. Skanda Yoga offers Skanda Yoga classes for everyone from beginners to advanced practitioners. This style is described by the studio’s website as an alignment-based power vinyasa. The studio offers both group and private classes. Daily class offerings run between 6:30 am and 8 pm. Skanda Yoga studio also offers Skanda Yoga Teacher Training classes in both 200 hour and 300 hour levels that are recognized by Yoga Alliance. Eleven studio teachers, including owner and founder Ken Von Roenn III give you a variety of minds to work with when evolving your practice. Workshops and retreats are also offered to expand your understanding of yoga and your practice beyond the mat. Skanda Yoga Studio is a great alternative to your typical yoga studio. Operating out of Raleigh, North Carolina since 2007, Open Door Yoga Studio offers classes for all ages and ability levels. Kids classes, Prenatal Yoga, Heated and Unheated classes are available to suit your various needs. Hot Yoga Teacher Training is available at the 300 hour level. Open Door Yoga also has showers available (and towels if you need one!) to students so that you can clean up after a sweaty session and continue your day feeling refreshed. Classes can range from 60 to 90 minutes in length and begin as early as 6 am and conclude at 9 pm. The studio also offers Pilates, run classes and kettle bell workouts to give variety to your routine. 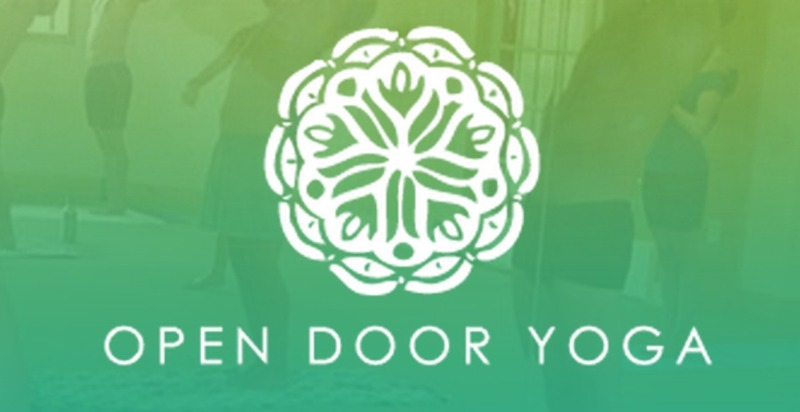 A well rounded and long standing studio, Open Door Yoga in Raleigh is worth checking out. Midwest Power Yoga is currently a Sheboygan Falls Wisconsin that offers regular pay what you can or donation based classes in an effort to make yoga accessible to all. Even with this reduced cost structure for certain class times, practitioners can practice knowing that if they choose to attend a reduced cost class, their experience will not be sacrificed. All classes are provided by well trained and passionate teachers. New studio owners Maggie and Stuart have been longtime yoga practitioners. Midwest Power Yoga currently offers six varieties of yoga classes, including community yoga, power yoga, restorative yoga and pound, according to their website. Classes start as early as 6 pm or can be taken as late as 7 pm to accommodate your busy lifestyle. At the Breathing Room Yoga & Movement Studio in Portland Maine, students are encouraged to expand their practice no matter what their background with yoga may be. Offering classes for everyone from beginners to advanced practitioners, the Breathing Room offers a challenging yet non competitive atmosphere and small class sizes to promote an intimate atmosphere. The Breathing Room has both private and group sessions, ranging in styles from Gentle Flow to a Vigorous Vinyasa class. Workshops and classes are also offered at the Breathing Room to help promote overall wellness. Classes range in start and end times from 7 am to 7:30 pm depending upon the class and the day. With a wealth of testimonials speaking to the studios encouraging and motivating atmosphere, the Breathing Room Yoga & Movement Studio is Portland’s must visit studio. Located in Johnson City, Tennessee, Mountain Yoga is a refreshing studio with enough class variety, training and teachers to satisfy whatever it is you crave in a yoga class. Mountain Yoga currently has 12 instructors and offers classes in styles including: beginner’s flow, restorative, prenatal, and back care yoga. Class times run between 6:15 am and 7:15 pm to allow for practice before and after work. Workshops and events are also offered. When living in or visiting the Johnson City area, Mountain Yoga is ideal for it’s wide range of classes with experienced instructors and convenient online class payments available on both Android and iPhone smartphones. With three studio locations in and around Portland Oregon, The People’s Yoga studios work to inspire all people to experience how yoga can enrich their lives. Offering daily classes from as early as 6:30 am to as late as 7:15 pm, The People’s Yoga has a class time to fit your schedule. From Hatha Flow to Vinyasa Flow and Recovery Yoga, there is a class for every ability level and need. What makes The People’s Yoga studio different from other area studios is that it emphasizes community and wellness for all people. While many studios strive to create a warm and nurturing atmosphere, having this communal philosophy at it’s core, The People’s Yoga studio stands as an example of how all studios can offer courses that are both inspiring and inclusive for all who attend. Offering a yoga experience that is as diverse and powerful as the city it resides in, Pure Yoga studios has everything you could want in an upscale yoga studio. With two Manhattan locations on 77th St. at Amsterdam Ave and at 86th St at 3rd Ave, the studios are accessible and inviting for all aspiring and current yogis. The PureYoga website boasts the studios 350 classes per week with 20 styles of yoga taught by their instructors. With offerings in Kids yoga, Pre and postnatal yoga, flow and heat, Pure Yoga has a class for yogis of all ages and ability levels. Yoga teacher training and private classes are also available at Pure Yoga studios. Set in a posh yet relaxing setting, Pure Yoga is a studio that can’t be missed.